The College reserves the right to adjust its tuition and fees and to alter academic programs and campus regulations at any time should the need arise. * The matriculation fee will be charged only to incoming students, along with their first semester/session tuition fees. By deposit paid directly to account number 112002002021876 at any branch of the ALPHA BANK or to account number 18048009668 at any branch of the NATIONAL BANK OF GREECE. Each student must make sure that his/her BANKING ID NUMBER** and FULL NAME are given to the bank teller. The deposit slip must be kept for the student’s records but does not need to be presented to the College Cashier. The student’s account will be updated electronically within 2 working days. Note: NATIONAL BANK OF GREECE account holders may pay their tuition at Automatic Teller Machines (ATMs) by using the Payment of Bills menu and entering their BANKING ID NUMBER* to complete the transaction. By bank check/personal check to the cashier at the Student Success Center. By Debit or CreditCard presented to the Cashier at the Student Success Center (monthly, interest-free installment plans available for up to twelve months). to Alpha Bank, IBAN: GR 4201401120112002002021876. Students must include their STUDENT ID NUMBER** and FULL NAME. to National Bank of Greece. Account holders may pay the tuition through the i-Bank system of the National Bank of Greece, by using the Payment of Bills menu available on these systems and entering their BANKING ID NUMBER to complete the transaction. 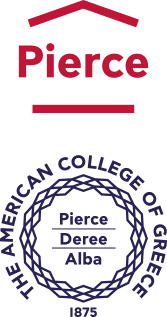 By Debit or Credit Card using online payment through www.acg.edu/online-payment. ** The BANKING ID NUMBER is provided to all new students by mail. Students who need a copy can obtain one from the Student Success Center.